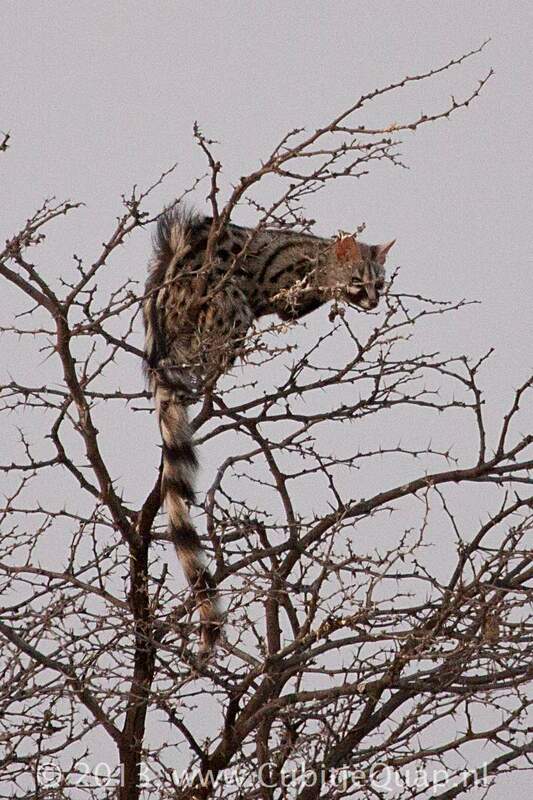 Genets have long, slender bodies and tails and short legs. The ears are long, rounded and thin. 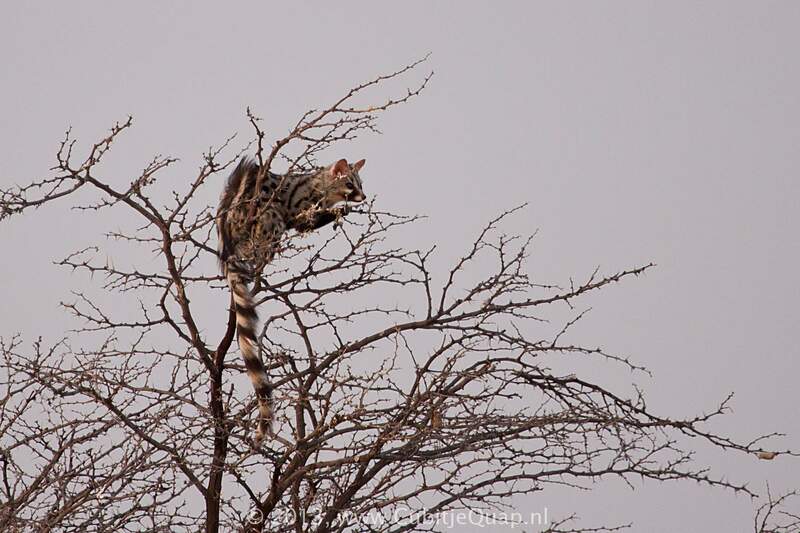 The Small-spotted Genet is usually off-white to greyish-white, spotted with dark-brown to almost black spots and bars. The tail is blakc-rigned and usually has a white tip. A crest of fairly long, b lack-tipped hair runs along the back and is raised when the animal is frightened or angry. It should be noted that there is an enormous variation in colour, patterning that may be encountered. The Small-spotted genet has a very wide habitat tolerance, ranging from the desert margins to areas with high rainfall. This includes woodland, riverine margins and even isolated rock outcrops on open plains. 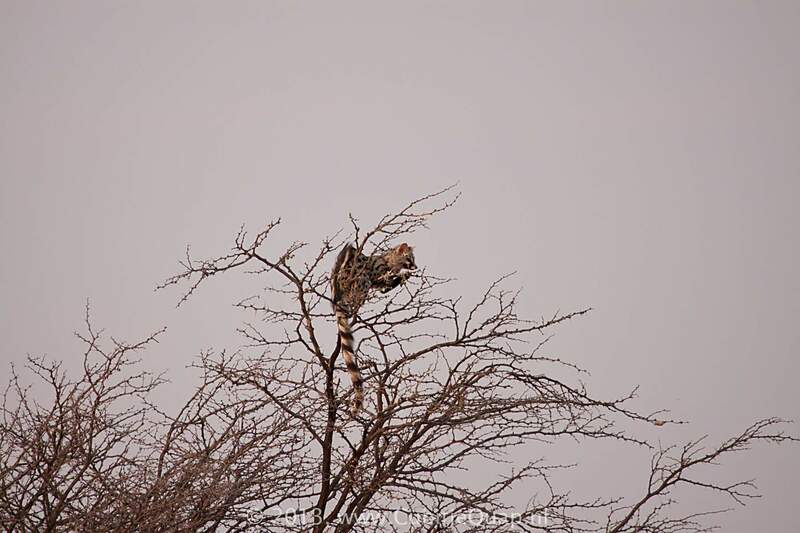 Genets are mainly nocturnal, lying up under cover during the day. They are excellent climbers although much o0f their foraging is done on the ground. Normally solitairy, though pairs are accasionally seen. Droppings are deposited at latrine sites and these are usually in open or conspicuous places. The genets diet consist of invertebrates, particularly insects are very important sources of food, as are small rodents. Reptiles, amphibians, bird and other smaller mammals are taken as well as wild fruits. They can be a problem to poultry- owners and if they gain access to a poultry-run or hen-house, they often kill far more than they require.